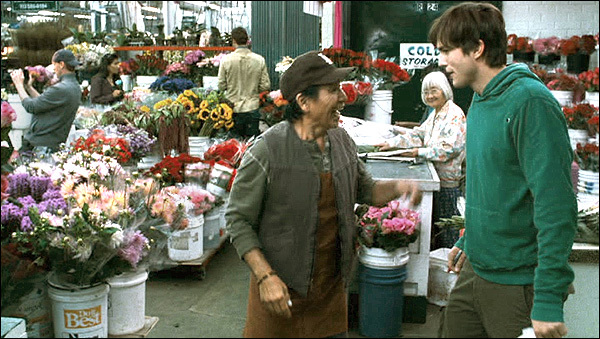 2010 movie "Valentine's Day" was filmed. a single day (Valentine's Day) in the life of more than 20 people living in Los Angeles. 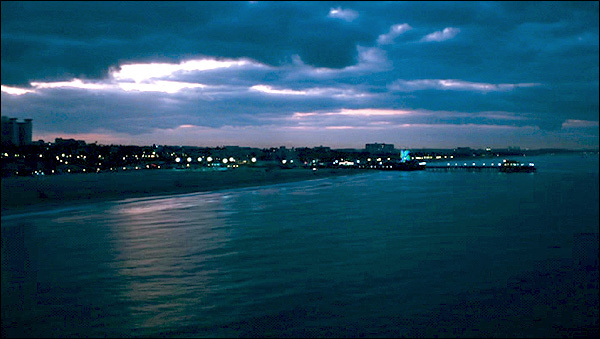 approaching the Santa Monica Pier from the north. at the west end of Colorado Ave, in Santa Monica, CA. Here is a Google StreetView panorama. 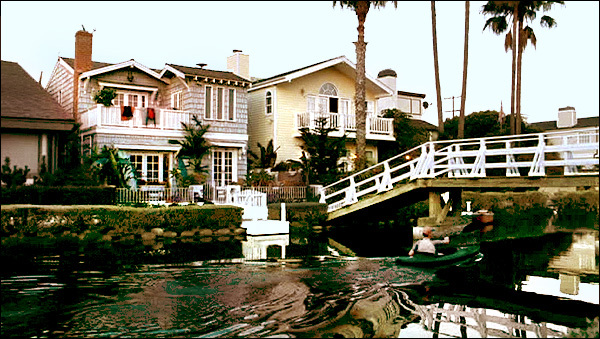 The scene above, of the kayak paddling under the bridge,was shot at the Venice canals, in Venice, CA. This is just before the scene cuts to an interior shot: the bedroom of Ashton Kutcher. while the yellow home (to the right of the bridge) is at 2606 Grand Canal. The city of Venice is located north of Marina Del Rey and south of Santa Monica. The kiss on the bridge, with Jennifer Garner, seen below, was shot at the same Venice location. or do anything else that might disturb the residents. ]. and we see TV reporter Jamie Fox do a live "man on the street" broadcast from the same location. 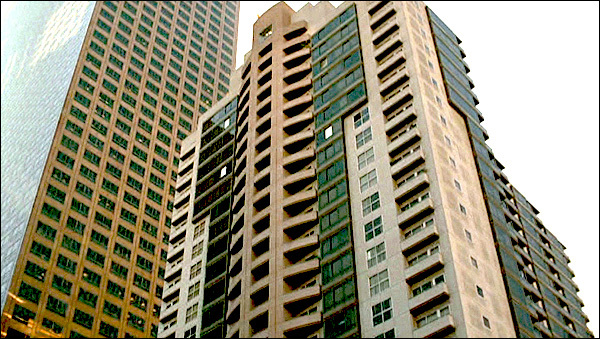 in the warehouse district, on the east side of downtown L.A.
the camera pans up the exterior of their tall apartment building. That building is actually the Grand Tower, at 255 S. Grand Ave, in downtown Los Angeles. opening for the day - right before the scene featuring Anne Hathaway and Topher Grace in bed. 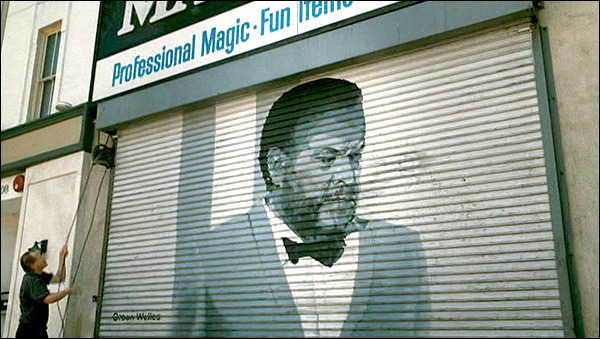 The roll-up door bears the large image of actor Orson Welles (an amateur magician in his spare time). This is the front of Hollywood Magic Inc at 6614 Hollywood Blvd, in Hollywood, CA. 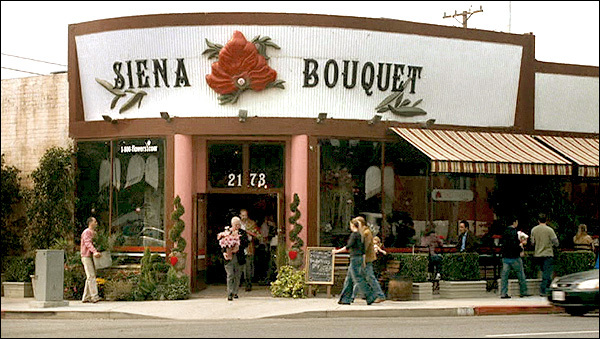 Ashton Kutcher's 'Sienna Bouquet' flower shop plays a big role in the movie. Although the number in the screencap above would lead you to believe that the address is 2173 - it's not. Like the sign overhead, the numbers above the door are fake. in Burbank, CA, at the SW corner of Magnolia & Fairview Street. who has a hopeless crush on his teacher (Jennifer Garner). in North Hollywood and Van Nuys. 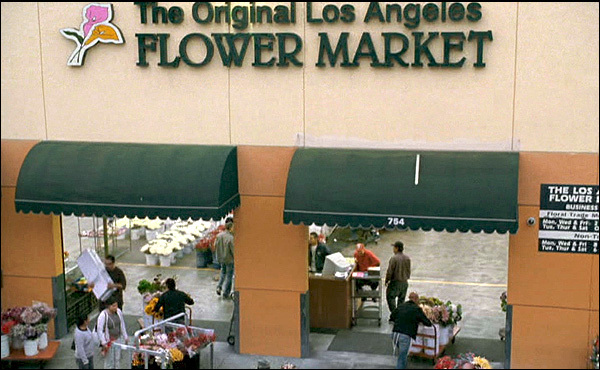 We see, for instance, D.W. Interiors pass by, at 6205 Van Nuys Blvd, in Van Nuys. Then we see them arrive at the corner of Van Nuys Blvd & Moorpark, in Sherman Oaks. and the scenery we see outside the windows is merely a clever studio trick. Topher Grace and his friends work in the mailroom of a large company. Before going inside, we first see the exterior of his workplace (above). 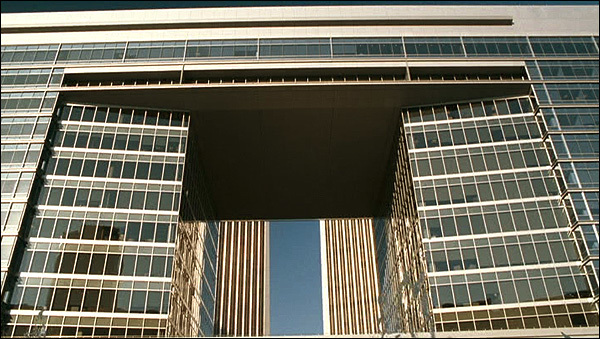 It's actually the new CAA building at 2000 Avenue of the Stars, in Century City. That's the Creative Artist Agency, one of the biggest actors' agencies in Hollywood. opening in the building. 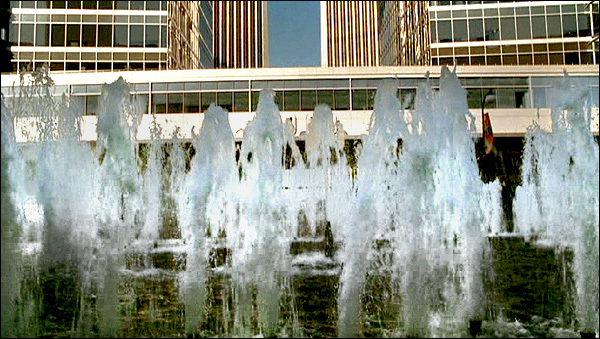 The fountains (below) are on Avenue of the Stars. in a hallway was filmed inside the same CAA building.. 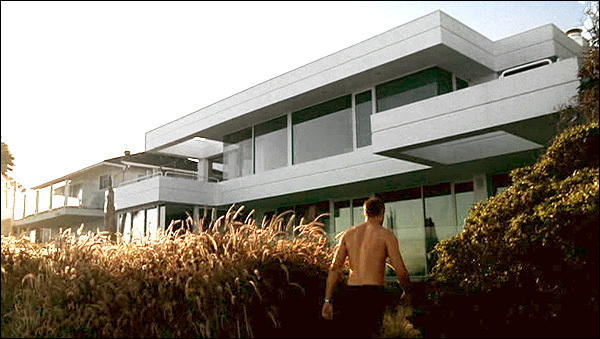 In the screencap above, we see Eric Dane's Malibu beach home. He's seen running on the beach, then walking up to his house. just east of the Malibu Pier. a 22-story office building in downtown L.A. The white building seen outside her window is 915 Wilshire, another 22-story office building. 11800 Texas Ave, in West Los Angeles (just south of Brentwood). who is seen flirting with her boyfriend, Taylor Lautner, and showing off for a news camera. The school entrance, seen in the top photo, is at the corner of Texas Ave & Westgate Ave. The other outdoor scenes are filmed on the quad and the athletic fields behind the school. 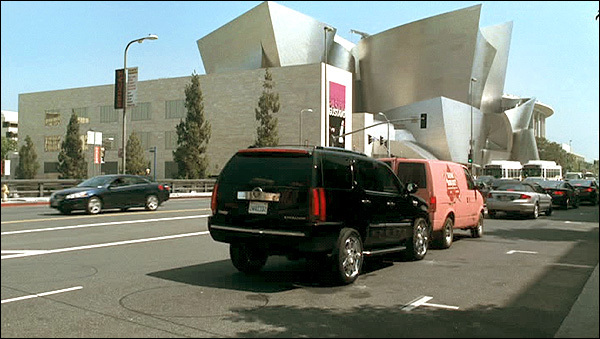 Walt Disney Concert Hall, just before he rear-ends George Lopez's van. The Walt Disney Concert Hall, is at 111 S. Grand Ave, in downtown Los Angeles. 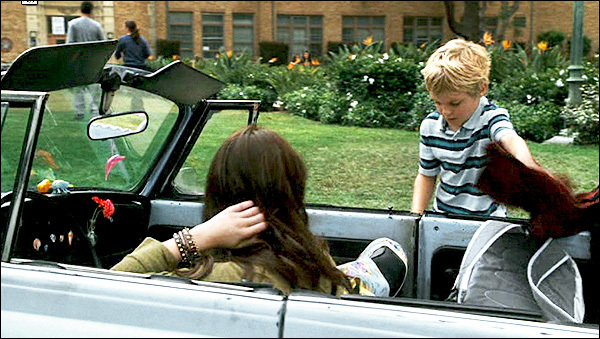 Emma Roberts picks the lovesick kid (Bryce Robinson) outside his school. The key here is across the street, where we can see the address 18821 on an apartment building. 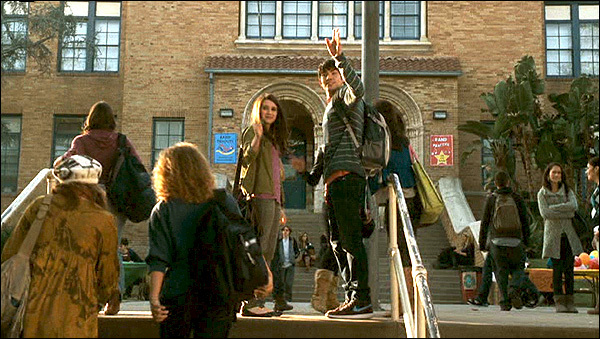 This is none other than the same University High, where they shot Emma's school scenes. The address (in case you forgot already) is 11800 Texas Ave, in West Los Angeles. 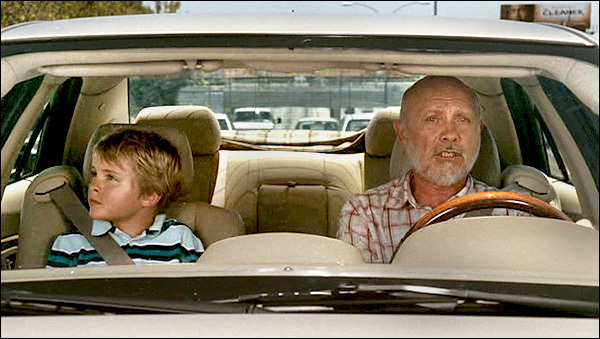 Ashton Kutcher hurries to the airport, to warn his friend, driving George's tricked-out Chevy. 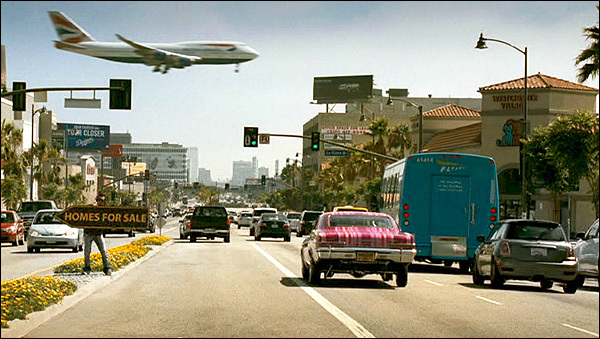 since we see one of the many incoming planes flying low over Sepulveda. 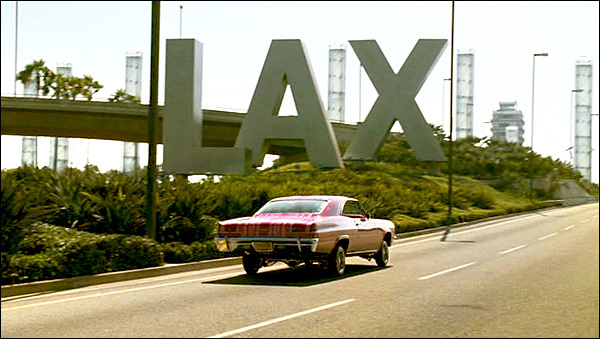 As Ashton gets closer to the airport, he passes the iconic LAX sign, and its nearby light towers. and Vicksburg Ave. (on the east). Some of the photos on this page are stills from the DVD of "Valentine's Day"
(which you can buy by clicking here) and are copyright New Line Cinema.